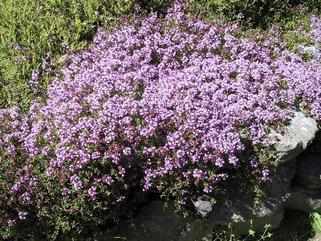 Thyme is best suited either to the rock garden or the front of a border. Sometimes it is grown between paving stones; it is highly aromatic and when trodden on its scent is intensified. Thyme is a good companion plant to cabbage as it helps to deter cabbage worms.